While the potatoes cook, heat olive oil in a large non-stick skillet over medium-high heat. 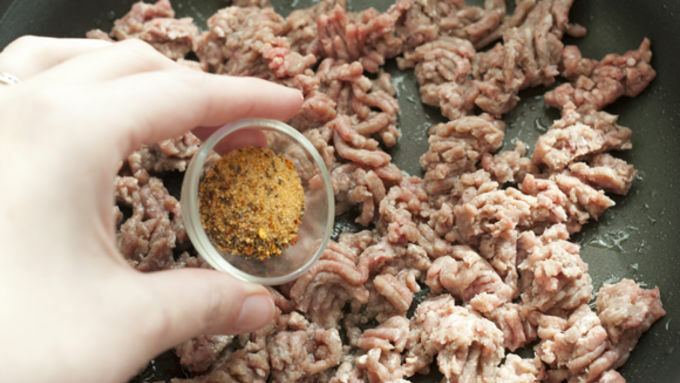 Add ground beef and steak seasoning and cook until browned, occasionally using a spoon to break up the meat. 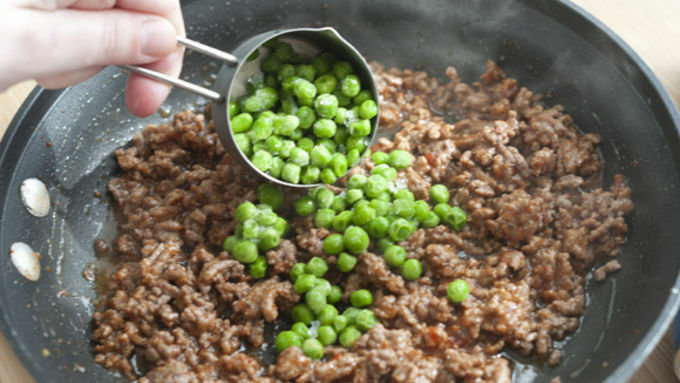 Add ketchup, Worcestershire sauce and frozen vegetables to skillet and cook 2-3 minutes until heated through. Taste for seasoning and add salt or pepper as necessary. Remove from heat and set aside. Unroll crescent dough on lightly floured work surface. 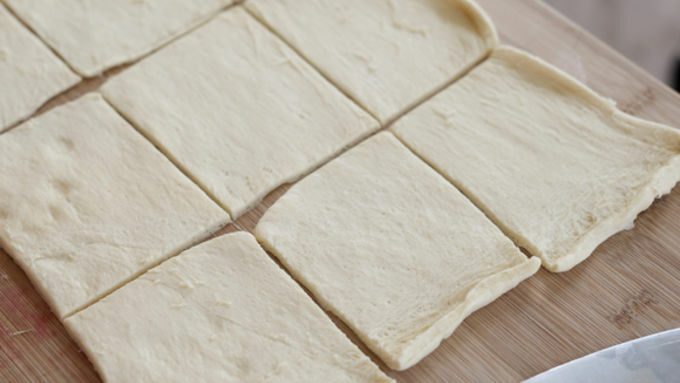 Press dough into a 12x9-inch rectangle, and cut into 12 evenly sized squares. Place one square of dough in each muffin cup, gently pressing dough into bottom and up sides of cup. 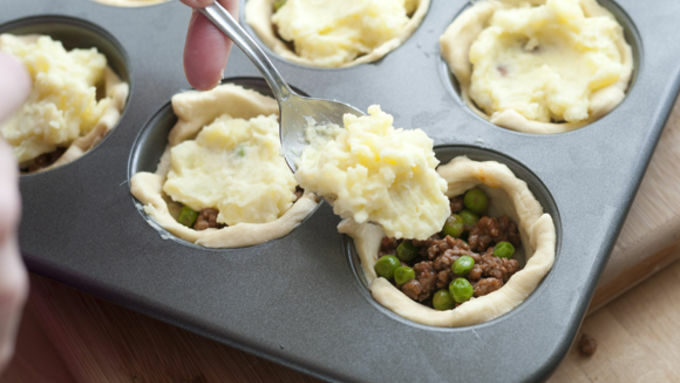 Fill each dough cup with 1-2 tablespoons of beef filling then top with a spoonful of mashed potato. Bake 15-20 minutes until dough is golden brown. Cool 5 minutes before serving. Use Betty Crocker™ instant mashed potatoes! They’re mini, they’re easy to grab and they’re gonna go fast! 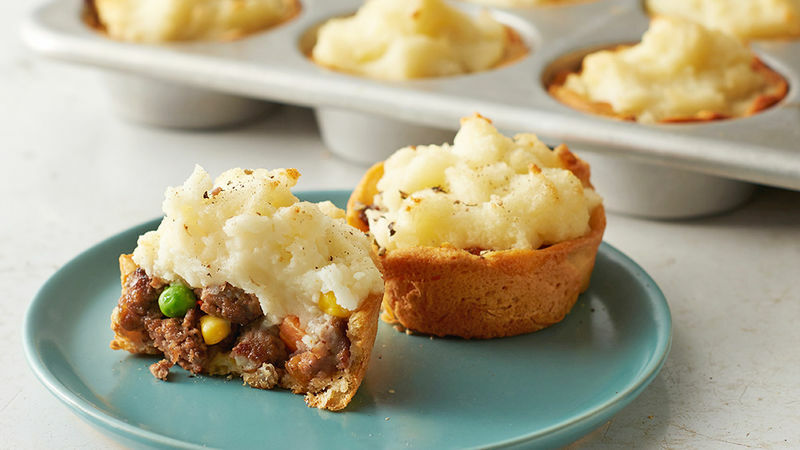 These Mini Shepherd’s Pies are simple, tasty and are beggin’ to be added to your to-do list! Can we say St. Patty’s Day!? We cut the dough into even squares, push ‘em into muffin cups, fill with beefy goodness and top with ultra creamy mashed potatoes. Easy!